DIMSUM! who doesn’t like Dimsums? Dimsums were originally a part of the Cantonese Yum Cha or tea-drinking tradition when travelers on the ancient Silk Route gathered at roadside tea-houses to drink tea and dig into dimsums. Dimsums (called dumplings in the west), the bite-sized Cantonese food in steamer baskets, have taken the Indian culinary scene by storm. The fillings go way beyond pork, chicken and prawn — think shredded cabbage, chives, lotus root, Chilean sea-bass, scallops, dried mushrooms, broccoli, cuttlefish, pine nuts and more. Today, dimsums (either steamed, pan-fried or baked), have ceased to be simple appetizers with chefs in 5-star restaurants coming out with exhaustive dim sum menus. One need not go too far to relish on these ‘soft paradise’, because something similar is happening at Spices – JW Marriott Mumbai, Juhu. Keeping up to the ‘Dimsum Revolution’, Chef Tenzin Khechok, Dimsum Chef at Spices recently hosted a Dimsum Week. 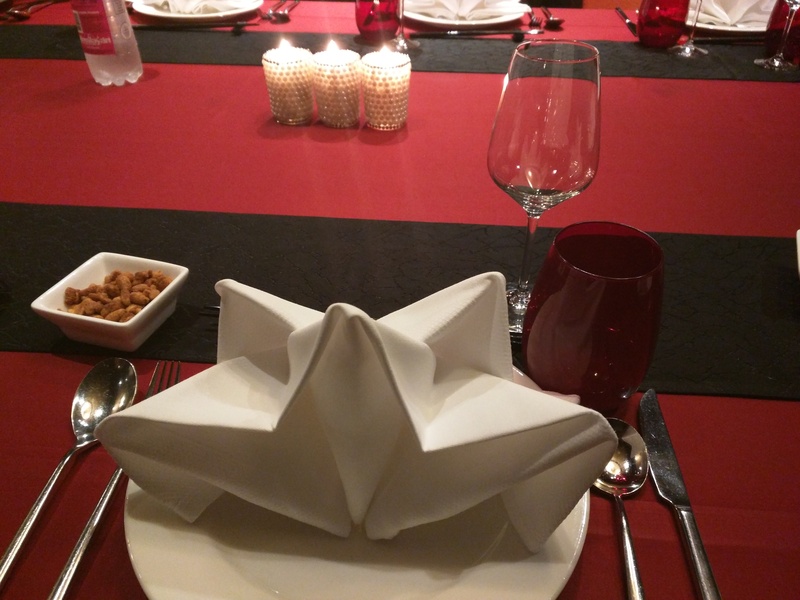 I along with some other food bloggers recently experienced the magic Chef Khechok is creating with dimsums. With different forms of dimsums, from Baos to Gyoza, these innovative dimsums literally touched so many hearts and now these are part of the regular menu at Spices. We were close to 20 food bloggers seated on a grand seating waiting for dimsums. A lot of wine, small conversations, a lil waiting with some crunchy Prawn Crackers and some more wine is all we had to do to finally get the dimsums. But I must admit that the long wait was completely worth it! The menu had a balanced choice in both veg & non-veg options. All the dimsums that I had that evening was so innovative and very visually appealing. I mean, all of them. 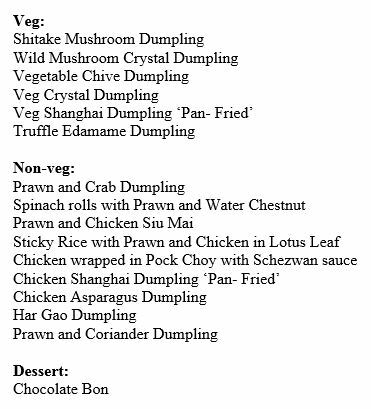 But my personal favorites were the Wild Mushroom Crystal Dumpling in veg and Har Gao Dumpling in non-veg. 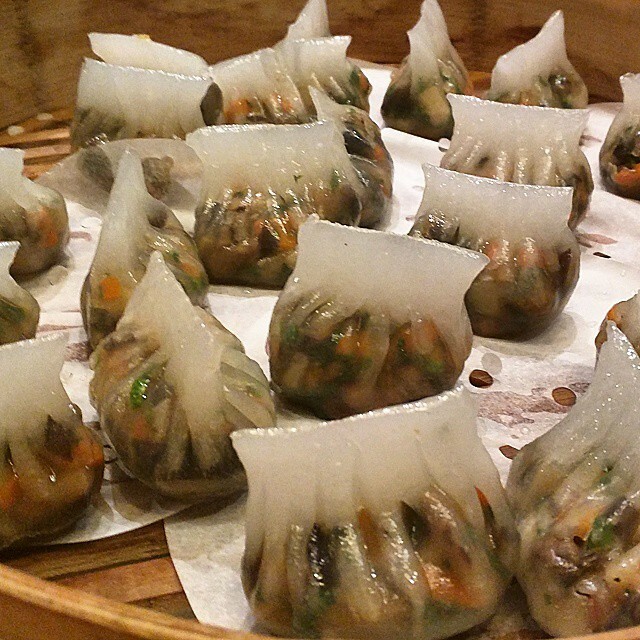 Visually so appealing, the Wild Mushroom Crystal Dumplings were so rich on flavors. 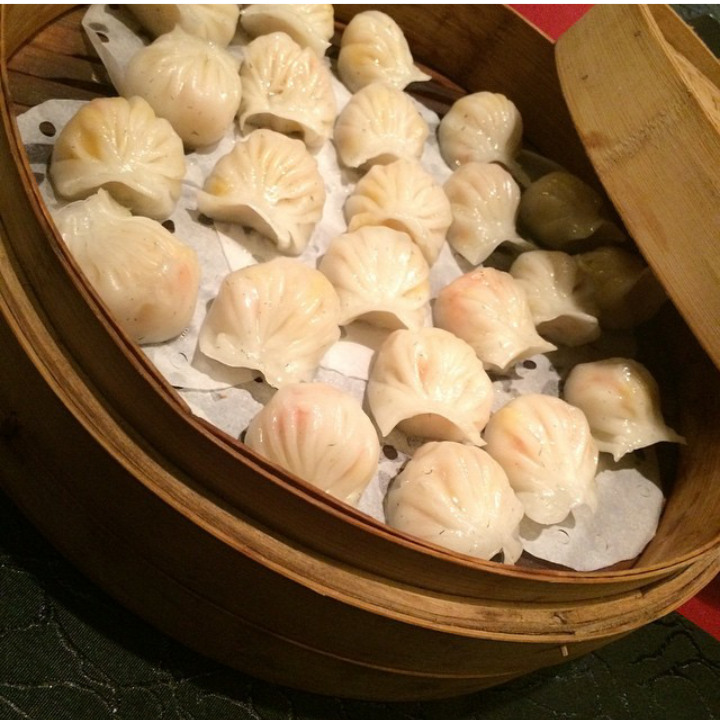 One could taste each and every ingredient in the dumpling. I really liked the sweet after taste. The Prawn Har Gao Dumpling was clearly the star of the evening, favorite amongst most of the bloggers on the table and again very rich on flavors with the prawn so perfectly cooked. I just loved it! 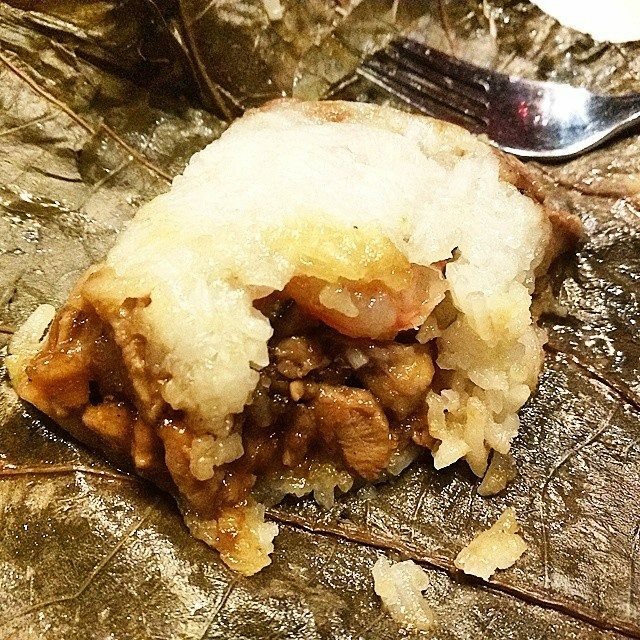 I also loved the Sticky Rice with Prawn and Chicken in Lotus Leaf. 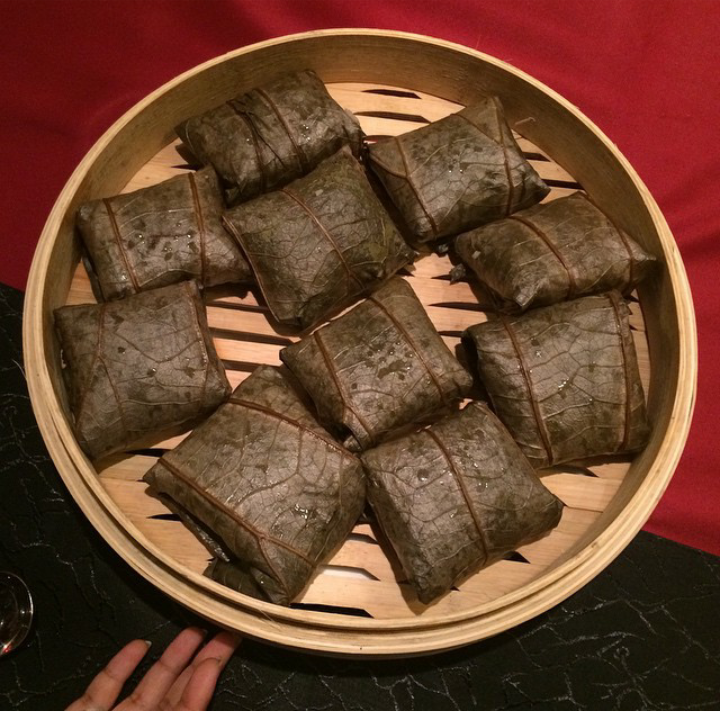 Sticky rice loaded with prawn, spinach and smoky flavor of the lotus leaf made this a complete meal by itself. 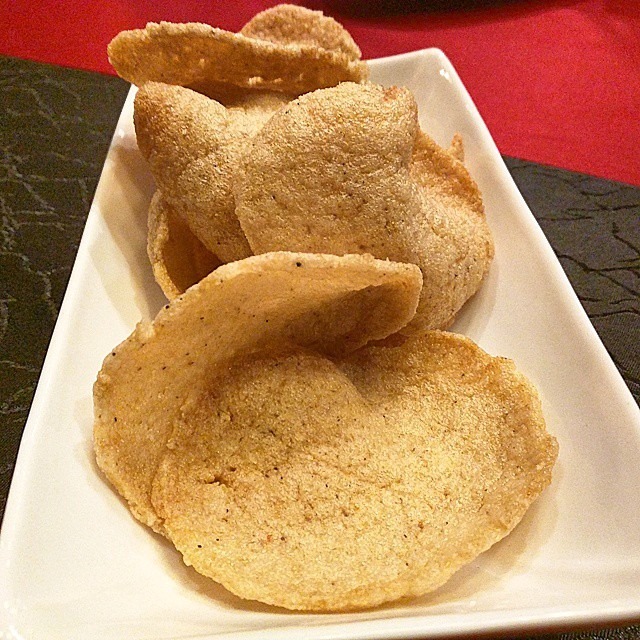 Innovation played a very important role in Spices’ Dimsum menu. Talking about innovation, I have to mention what we were served for desserts. 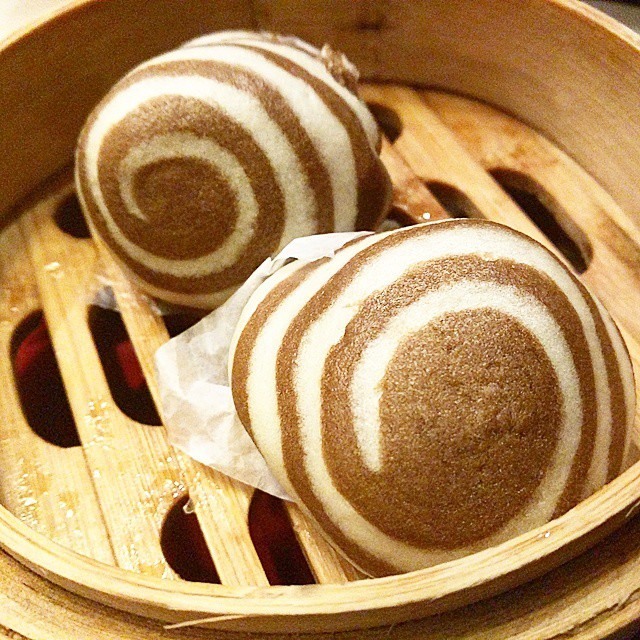 Ever imagined a chocolate dimsum? Well, next up was the Chocolate Bon. This was a tempting bun with hot liquid chocolate oozing out when cut open. 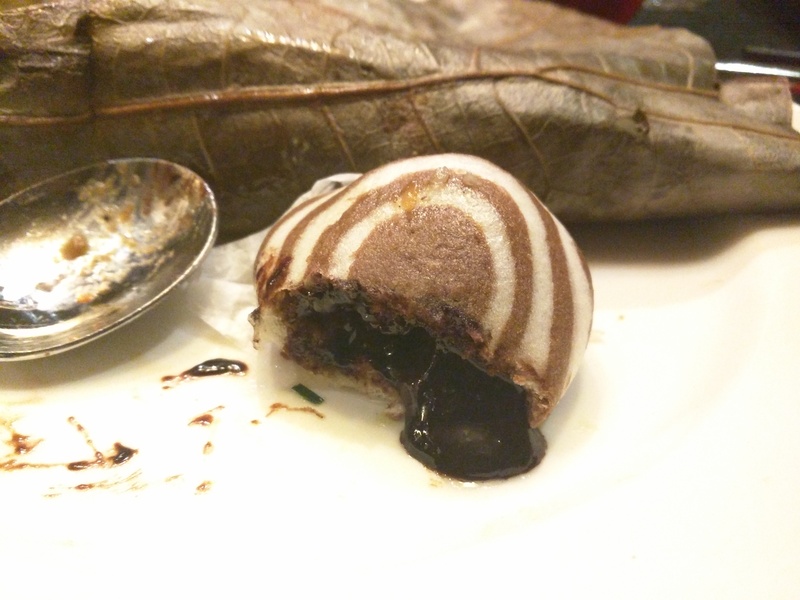 Although I wished that the outer covering of the Chocolate Bon was a lil thinner, this was indeed a yum end to our dimsum meal. All in all, I never imagined myself making a meal out of only dimsums, but I did and this truly was a wonderful experience. I’m planning an encore soon. ← Trailer Review: Dil Dhadakne Do- Promises to be the Biggest Blockbuster of the Year!